Every year our magnolia trees bloom and it’s a feast for the bees. They are actually gathering pollen instead of nectar. 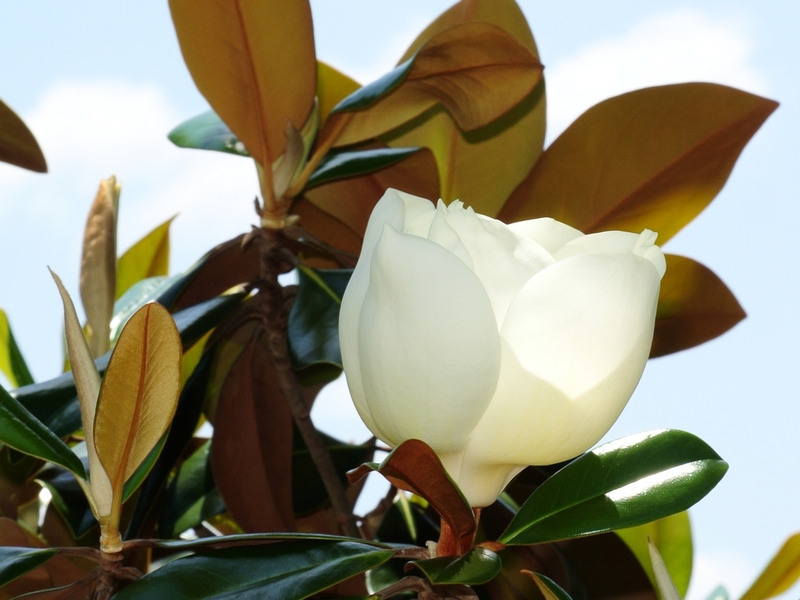 The magnolia blossom first starts as a closed cup filled with fragrance. 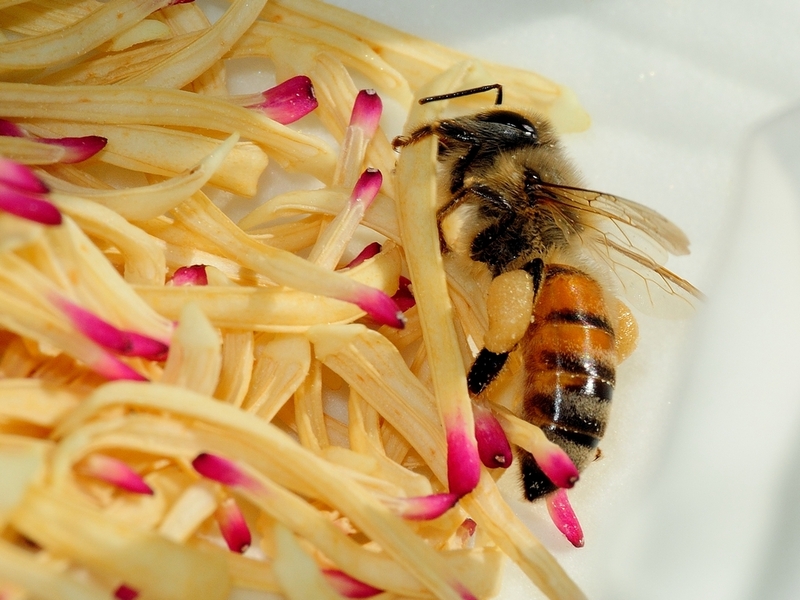 That draws the bees to it immediately but, they cant get into it just yet. In a few hours, the inner blossom begins to open and the bees immediately start pulling the stamens off the bud. The open blossom forms cups which hold the dropped stamens and the bees land and roll into them. They are busy for a couple of hours packing pollen into the pollen bags on their legs. 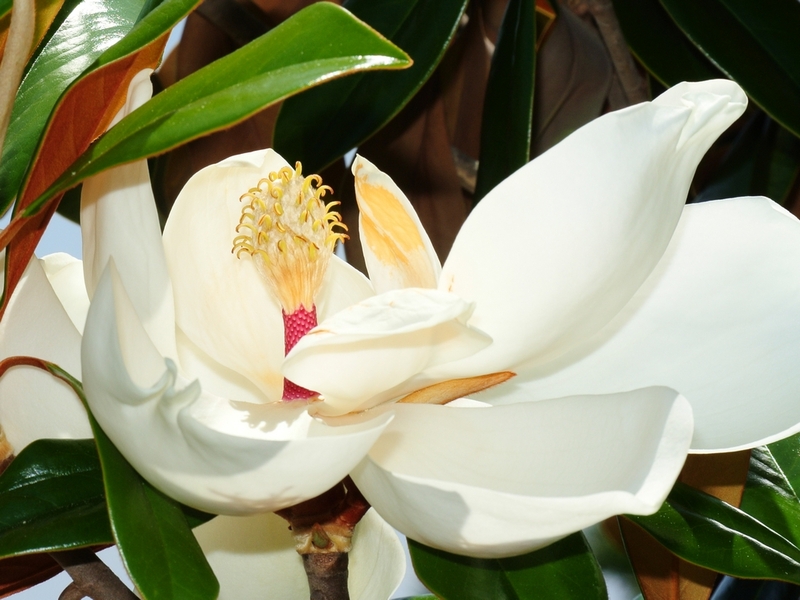 Occasionally, they will return to get some of the sap which does come out where the stamens have been but that doesn’t seem to be their primary purpose. 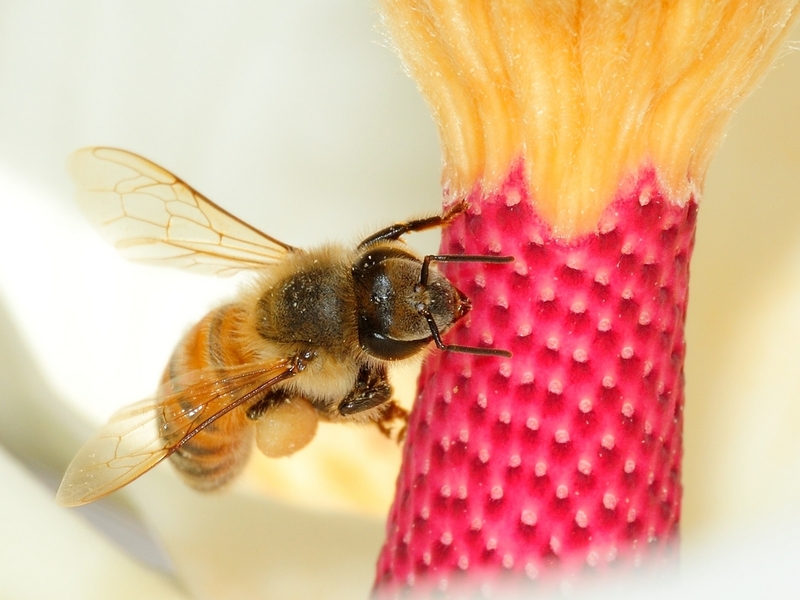 This entry was posted in animal behavior, Bug and tagged Bee, Leitz ELPRO VI, magnolia, Nikkor 30-110mm, Nikon 1, V1. Bookmark the permalink.